According to Scheidt, corn is at maturity which means it is contains 28-35 percent moisture content. 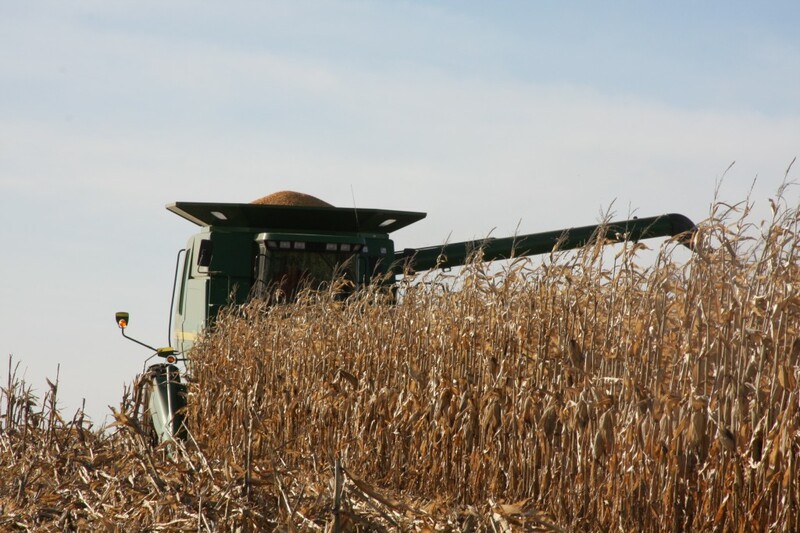 Studies have shown once at black layer, corn dries at an average of .6 percent per day until it reaches 15 percent moisture, when it is ready to harvest. “A few diseases are still being seen in soybeans, but if soybeans are to the seed development stage, fungicides are not economical,” Scheidt said. Green stinkbugs are being seen, below threshold level. Green stinkbugs can cause delayed maturity as well as damage to developing seeds if they are punctured by green stinkbugs’ piercing sucking mouthparts. Threshold levels for green stinkbugs are 1/ft. Small pod worms were seen by area crop scouts in fields west of Lamar according to Scheidt. Pod worms can be a number of different colors, including green. It is important to differentiate between green clover worm and pod worm because green clover worms are a beneficial insect that carry a fungus that kills pod worms. Green clover worms have three abdominal pro-legs, while pod worms have four abdominal pro-legs located in the middle of the body. Threshold levels for pod worms are 1/ft and when 5 percent of pods are damaged. Hero is the most effective insecticide to control pod worms. In university research field trials, an average of one large pod worm larva per foot of row was found to reduce yields by approximately 1.9 bushels per acre.